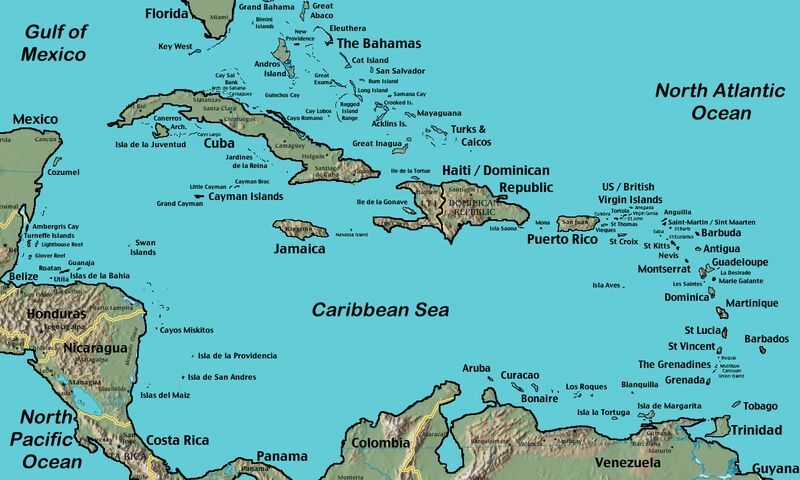 As you can see on the map, Cuba is the largest country island followed by the island that has the countries of Haiti and Dominican Republic. Jamaica and Puerto Rico are about the same size. Please visit the individual countries for its land size. There are numerous Caribbean islands all over the place and I will do my best to list those under each country to which they belong.